Saw that new Spider-Man yesterday afternoon. I enjoyed it for what it was but I'm still of the opinion that Spider-Man would work best as a television series. I really love Keaton in the film though. I honestly wish it would've been a movie about the Vulture but with Spider-Man as the heroic antagonist. I've learned that Zander Cannon (Kaijumax, The Replacement God) thinks StarHammer is great. Seems we're really coming up in the world! I also realized just how important Denny's truly is. 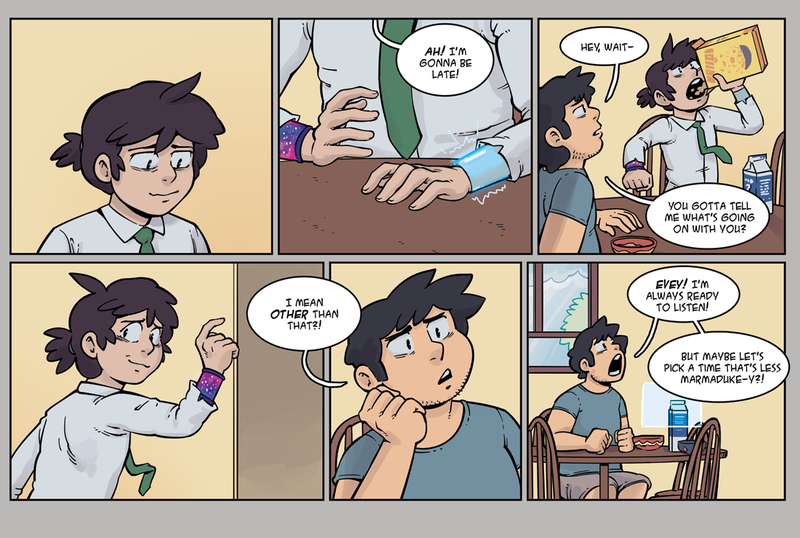 We hope you enjoy today's page.